Brockton, MA gets hit by about 48” inches of snow every year. Our harsh winters can trap many community members in their homes if it were not for the swift and efficient snow removal services. Whether you’re young or older, fit and healthy or currently ill, most people don’t have the time or energy that it takes to clear that much snow on a week to week basis, or try to control the slippery ice. Brockton Snow Removal specializes in rapid response to snow removal and ice control needs, and will be come to your home to rid it of snow and ice on your driveway, on your car, your pathways, walkways, sidewalks, rooftops, and anywhere else you need to clear. While excessive snow and ice present a real threat to safety for pedestrians and motorists, just stepping outside to the mailbox can be a dangerous thing to do when you have a slippery walkway because of ice. It’s our goal to reduce the risk of injury and potential damages by making every area you need clear and safe. Our expert equipment and years of experience will help us provide this service quickly and efficiently. The last thing you need when you’re already dealing with the inconveniences of heavy snowfall and ice is to slip and injure yourself. We’ve all got slip accident before, and the risk of serious injury is never higher than when you’re stepping on ice. Yet the walkway to your mailbox, to your car, around your house, your driveway will be periodically full with snow and ice as the snow storms come through and it’s important to take the risk seriously. Black ice, the invisible ice that causes so many accidents, is extremely hard to spot but equally dangerous. A hospital stay with a broken bone is something you definitely don’t need! Every year there are terrible accidents on the news about people slipping and injuring themselves on snow or ice. 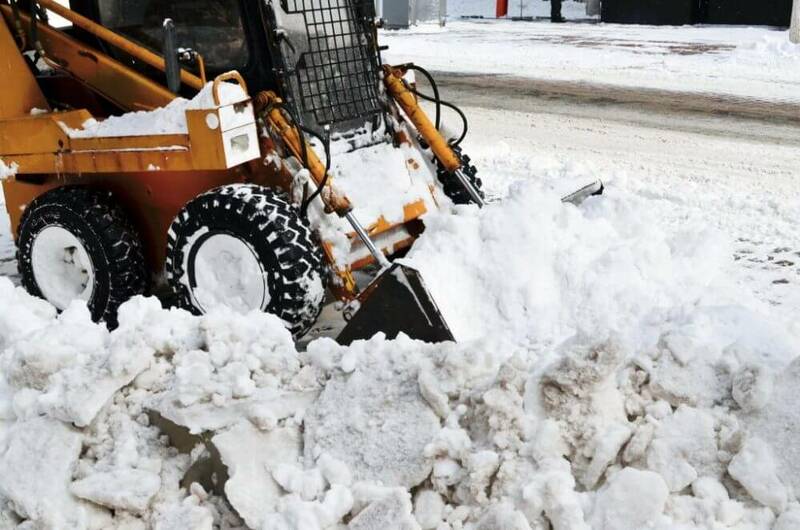 It’s a natural hazard of living in our area, but some of them can prevent by a professional snow removal service to keep the paths clear and safe. Our mission is to provide our services anytime. So, our customers can have peace of mind when a heavy snowstorm hits. Not to mention, if you have guests or visitors, this will help keep them safe as they arrive and prevent painful and expensive accidents. A snow storm is one of those things that really helps you appreciate the incredible power of mother nature. It can be beautiful and awesome. But when you live in a place like Brockton that gets about four feet of snow per year, it can be a bit overwhelming and start to look unsightly. Especially after sitting there for a while, snow will collect dirt, garbage, and oils from the road or cars, and will begin to bring down the curb appeal of your otherwise beautiful home. Mounds of snow can also make things tough for family visiting over the holiday season, or make it hard for people to approach your house, or for you to leave. Shoveling all the snow would take forever and would truly be back breaking labor, but we have technical equipment to ensure we can get the job done quickly and efficiently. We’ll make sure paths are clear so you and your family can fully enjoy your home during the winter season. Plus your home will look great! Shoveling snow is not an easy activity, and it’s not the most effective method on its own either. It takes a tremendous amount of time and energy just to clear a relatively small space after a heavy snow. And then you have to start all over from scratch when it snows again in a few days. While you could invest in a snow plow that costs a small fortune and pay to maintain over the years, you’d still have to go outside and do the snow plowing yourself. In the meantime, we are happy to provide full residential snow removal services including driveway snow removal, car snow removal, sidewalk snow removal, and ice control all in one service that can do quickly, efficiently, and affordably. We use the best equipment out there that ensures all the snow and ice will remove and you can enjoy your home to the fullest. Living in Brockton is great, but it’s important to have a plan for handling all the heavy snowfall we get every year. If you’re young, strong, and have time to kill then shoveling your driveway every few days might seem like a great solution. But for those of us who don’t have the time, energy, or ability to keep up with mother nature in the prime of winter, there are great snow removal services like us to take care of it for you. Our expert team offers a positive attitude and great customer service while you get a clearer home.